ExpressVPN offers a wide variety of features that most VPN providers do not support. First and foremost, this service can be installed on a Mac, Windows, Linux, iOS, Android, routers, even extensions for Chrome, Firefox, and Safari! ExpressVPN offers unlimited bandwidth, so you don’t have to worry about reaching a data cap. ExpressVPN is a VPN service available to anyone in the world. For those who don’t know what VPNs are, they stand for Virtual Private Network. A virtual private network allows a user to connect to another network over public infrastructure while still maintaining privacy. This is done by encrypting the packets that are sent from your computer and they are decrypted by the server you are connecting to over the VPN. This allows a user to maintain a privacy level of a network that is not connected to the open internet and can be useful in situations such as torrenting to mask your traffic from your ISP, or using a public and untrusted network. There is no speed cap with ExpressVPN, so your network speed will never be bottlenecked by maintaining your privacy. All of their servers boast a 99.9% up time, with OpenVPN as the underlying software suite, guaranteeing strong encryption. Furthermore, you receive all of the benefits of OpenVPN’s different protocols, such as L2TP, IPsec, SSTP, and PPTP. No activity or connection logs are kept by ExpressVPN, which means your data is truly secure with them. You can connect up to 3 different devices on a single account. If you have friends that are concerned about using a VPN, they offer a referral program where if you refer one friend, you will receive a free 30 days of VPN service! One of the most important features is the 24/7 customer support available by either chat or email. 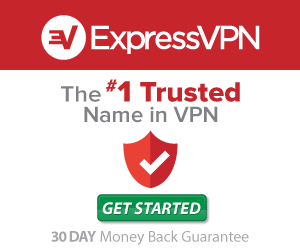 Finally, ExpressVPN offers a 30-day money-back guarantee in any case you are not satisfied by their services. ExpressVPN has several options for pricing depending on how many months you wish to subscribe to at once. For just one month of time, you’ll pay $12.95. For a 6 month block of time, you will get charged $59.95 which works out to just $9.99 per month. if you were to buy the one month plan every month. While there is no free trial period for ExpressVPN, they do offer a 30-day money-back guarantee. This guarantee works with any plan you choose to purchase, not just the one month plan. ExpressVPN also offers many different methods of payment to facilitate your purchase. The different methods of payment are anything from standard credit card companies, Paypal, and even bitcoin. Alipay is also offered for customers in China. For those who have utmost concerns for privacy, bitcoin may be the best option. Without a VPN, your Internet Service Provider (ISP) can see all of your network activity. Any games you play, media you download, or sites you visit can all be seen by your ISP or any nefarious user that knows enough to intercept and view your traffic. With a VPN, all of your traffic is encrypted with a 256 bit key. To put that in perspective, it would take as many supercomputers as there are stars in the milky way galaxy billions of years to brute-force crack your VPN encryption key. ExpressVPN has servers in 94 countries. This enables your secure browsing wherever you may travel. Whenever you connect to any one of the VPN servers ExpressVPN has, you are one of thousands of users that login and connect to that VPN. All of your traffic is mixed in with all of the other users, making it impossible to map traffic to any particular user. Furthermore, ExpressVPN doesn’t keep any logs of your activity, so even if somehow there was a breach, there would be no data to collect on you. Security starts before your traffic packets even leave your computer. ExpressVPN uses OpenVPN to encrypt your packets with L2TP, PPTP, IPsec, or SSTP, though the average user doesn’t need to worry about which protocol is being used. Just know that your data is being encrypted before it even hits the public internet. Your ISP doesn’t know where or who this packet is going to and safely arrives at the ExpressVPN server you are connected to. This packet is then decrypted and routed to the destination address you were making the request to. Once the traffic is received, it is routed back to ExpressVPN and encrypted again, bypassing any spying your ISP may be conducting on your activity. The packet is decrypted at your device and no trace of what you viewed is left behind in any step of the process. ExpressVPN has VPN kill switch called Network Lock to further protect your activity. A VPN kill switch is an automatic protection measure where if you are suddenly disconnected from the VPN server, no packets will be sent from your network card until the connection is reestablished. This prevents your traffic from being exposed to your ISP or any third parties. 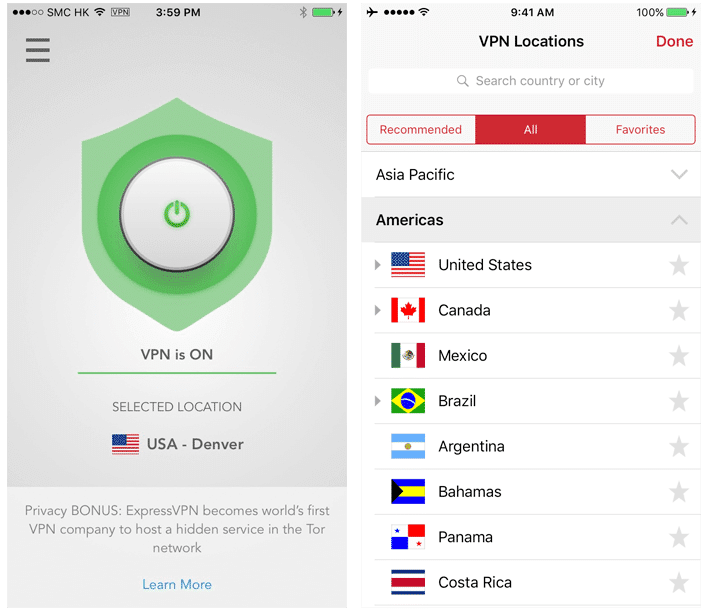 Network Lock is enabled by default and can be disabled with a step-by-step guide on ExpressVPN’s website detailing how to disable it. In addition to this feature, you can also continue to access local network resources such as shared drives or printers with Network Lock still active. The speed at which your webpages load is crucial for your browsing experience, whether or not you are using a VPN. ExpressVPN’s software suite comes integrated with it’s own speed test that is easily accessible through the main menu. A window pops up to show three data types: speed index, latency, and download speed. Latency is how long a packet takes to reach the ExpressVPN server, measured in milliseconds. The lower the number for latency, the better your speed. Download speed is how fast a file will download or stream to your device. This field is measured in kilobits per second (kbps). The higher this number is, the faster your network speed is. If you plan to use Expressvpn on Netflix, you can test your speed on fast.com then compare it to network speed table 500kbps is the minimum requirement while 25,000kbps will allow for 1080p or better viewing quality. Finally, the speed index column is a calculation between latency and download speed. The higher this number is, the higher your overall network speed will be. ExpressVPN allows you to sort by speed index to chose the fastest server that presents the smallest amount of bottlenecking for your traffic. The best benefit of ExpressVPN that other services typically don’t offer is a large support base. When you visit their support page, you have three options immediately available to you: Contact Form, Live Chat, and direct email. Contact form gives an average response time of a few hours. Direct email has the same response time as the contact form option. Finally, live chat will give you an instant response. Further down the page, you’ll see both a setup tutorials section and a troubleshooting guide. The setup tutorials section contains guides to install ExpressVPN on a variety of devices and operating systems, from Amazon e-book readers to Windows phones. The troubleshooting guides contain topics ranging from getting started and knowing ExpressVPN is working to DNS Server configurations and log files. Each of these files contain detailed descriptions of possible errors you might encounter along with solutions to each problem. There are even some good guides in how to spoof your geolocation to circumvent geographically restricted content! ExpressVPN supports a plethora of devices to connect any of your resources to an ExpressVPN and enable secure and private internet browsing. There are detailed guides on how to connect to ExpressVPN on any one of these devices located on their support and VPN setup page. A technical background is not needed to setup ExpressVPN because set up on any common device is done automatically. In other words, you do not need to manually set up ExpressVPN. Furthermore, ExpressVPN is supported on any possible device you may own that accesses the internet where you will want secure and private browsing. ExpressVPN has servers located in every single continent on the globe. There are servers located on the East and West Coasts of the United States, South America, Asian pacific region, Australia and New Zealand, all throughout Europe, Africa, the Middle East, and India. No matter where you are or the content you are trying to view that may be geographically restricted, you can be sure that ExpressVPN will have a server nearby with a fast connection. Furthermore, a number of their servers support virtual server locations. This allows the content provider to see your traffic coming from an IP address located within that country, where in reality your traffic is coming from a server that is located closer to you. This enhances your network speed while not compromising any geographic limitations imposed on your content. A common problem with VPN providers is that they keep logs of your activity. This can come back to bite you if ever a DMCA claim gets filed against the company, compelling them to turn over their data on which user accessed the content in question. With ExpressVPN, you don’t need to worry about this happening as ExpressVPN doesn’t keep any logs of their user’s traffic. ExpressVPN does not and will never log the IP addresses of the either the source or VPN server you connect to, any browsing history that takes place on any given session, traffic destination or metadata, or DNS queries. ExpressVPN is engineered to eliminate the storage or use of any sensitive information. The only reason ExpressVPN collects this information is to troubleshoot any problems you may encounter while using their services, provide technical support to customers and identify connection problems, and enables engineers to identify and fix network issues. These troubleshooting steps may be different given the country location of the VPN server that is experiencing problems. Finally, ExpressVPN connects data that is anonymized for trend analysis such as speed test data, connection failures and crash reports. However, this will never be tied to an individual user. Furthermore, you have the ability to disable this anonymous usage data within ExpressVPN’s software. You can be assured that your data is safe with ExpressVPN. They support several advocates for digital freedom, such as the Electronic Frontier Foundation, The Internet Defense League, and Access Now. These non profit organizations have been active in fighting against the growing surveillance state we’ve seen in recent years all across the world. On top of all of this, ExpressVPN is based in the British Virgin Islands, which has a different set of laws than U.S. or European legislation which make it trivially easy to force companies into turning over data in any court proceedings. ExpressVPN allows any peer to peer file sharing and torrenting. Is Express vpn blocked by Netflix, BBC iPlayer? You don’t have to worry about these issues with ExpressVPN as they have a clean reputation and are trusted by these streaming services. Netflix and BBC iPlayer and many more are not blocked when using ExpressVPN. What Netflix countries I can unblock with Express VPN? Smart DNS is an emerging technology to combat geographically restricted content. Smart DNS works by changing the DNS of your device when trying to access regionally blocked content. Data is re-routed through a dedicated proxy server close to your location to reduce latency and increase network speed. ExpressVPN has Smart DNS included so that you are never blocked from seeing your favorite content just because of your location. You can easily set up Express vpn smart dns on non-compatible vpn devices such as Apple tv, Smart TV, playstation 4, playstation 3, Wii, Xbox 360, Xbox one, Bluray player and many more. Whenever you use a privacy or identity concealment service, such as a VPN, it’s important that traffic is routed through a network that makes your requests truly anonymous. If this traffic is somehow leaked out of this trusted and verified network, any third party or your ISP can monitor and then log your traffic and web activity. DNS is a simple protocol that maps an IP address to a web address. For example, when you type in google.com, the network doesn’t finally reach google based on words, but rather a DNS lookup and finding that 8.8.8.8 is one of google’s IP addresses. If a DNS leak is present, your private IP address is spilled out to the public internet which opens your privacy back up to third parties and your ISP. This can be caused by not using ExpressVPN apps, an attacker controlling the router you are connected to, or the software on your device is making sure the operating system is not using the correct DNS servers owned by ExpressVPN. Once connected to ExpressVPN, you will only use ExpressVPN’s DNS servers. This secures your data from DNS leak. Is Express VPN blocked in China and the Middle East? The Middle East and China have implemented a great deal of censorship to their citizens. Once you are connected to a server located by the government’s infrastructure, any DNS queries to blacklisted websites terminate with an error message. When using ExpressVPN, you will never encounter these problems because ExpressVPN is not blocked in these regions. Hong-Kong based servers owned by ExpressVPN are designed to specifically to defeat these censorship measures. Furthermore, ExpressVPN offers a .onion to gain access to ExpressVPN website. If you have a browser with Tor installed on it, you can visit this .onion address with guaranteed ExpressVPN connectivity. ExpressVPN is one of the most robust VPN services on the market to date. For anyone that’s attempting to circumvent geographical restrictions on content, hide their internet activity from their ISP or nefarious third parties, or just need privacy on their device on an unsecured network, ExpressVPN is the best solution. ExpressVPN’s pricing is competitive and offers a massive amount of features for their low monthly price. If you are not satisfied with ExpressVPN within the first 30 days of use, they will always honor their 30-day money-back guarantee. If you have many friends who are interested in privacy and security when they browse, ExpressVPN has a referral program in place to give you 30 days of free VPN use with every sign up. ExpressVPN offers a wide variety of encryption protocols to ensure that no matter what your network infrastructure or needs are, you will always have an appropriate solution with ExpressVPN. ExpressVPN’s encryption key is a strong 256 bits long, sinking the probability of brute-forcing your encryption scheme down to near-impossible levels. Along with this enormous key, ExpressVPN implements their version of a VPN kill switch called Network Lock, which halts all packets from being received or transmitted from your device whenever the connection is intermittently dropped. ExpressVPN also protects against DNS leak using their own DNS servers so you don’t have to worry about third parties or your ISP from seeing what requests you are making. ExpressVPN has servers located in 94 countries right now, with more being added. No matter where you or the content you are trying to view is located, you can be sure that you will have a server nearby with fast connection speeds. You also will have the advantage of ExpressVPN’s stealth servers that are specifically designed to defeat Middle East and Chinese censorship. 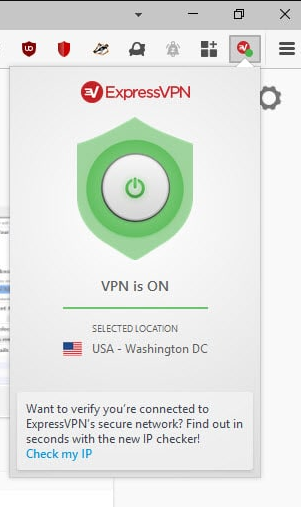 If all else fails, you can visit ExpressVPN’s .onion site to begin set up and installation of your VPN. ExpressVPN comes with a VPN speed test tool integrated into its software, optimizing your network and download speed. Where ExpressVPN really shines is its massive customer support section. You can reach out to ExpressVPN any time of the day and receive an answer on any problems you are encountering within a few hours. In addition to this, a guide is written for nearly every conceivable and supported device that ExpressVPN can be installed on. You will never be left in the dark in how to resolve problems or set up ExpressVPN. ExpressVPN truly is one of the most advanced VPN services on the market and you truly receive an amazing value for the price. With a robust and wide infrastructure, a friendly and convenient customer service sweet, and setup guides for every configuration possible, you can’t go wrong with choosing ExpressVPN.